This class will necessarily be a bit different than most others you might have taken, as it is based on what is essentially a fairly new, but very,very rapidly growing, field -- quantum information. We will first look at some of the foundations behind the new ideas. Most of the physics is all fairly basic quantum mechanics. My approach will be to present the ideas as simply as possible, and to demonstrate them with relevant experiments, many of them optical. Some of you will undoubtedly find my approach too focused on experiments. I will try in the readings from the course text as well as the problem sets to hit some of the theoretical topics. My goal at the end of the course is that you will have a working familiarity with the basic underlying concepts, be able to read new articles in the field with moderate comprehension, and have the sense that you have attended a recent conference on quantum information (in any given year there are now perhaps 30 totally devoted to the topic, and more than double this if we count sessions at larger conferences); or if you actually DO attend such a conference, you can follow a fair fraction of it. Yes! Stay tuned for details. The grade will be based on a series of problem sets (70%) and a "research exercise" (30%). For those of you auditing the class, I nevertheless strongly encourage you to work the problem sets. The grader for the homework is Yulia Maximenko (B49 MRL, maximen2@illinois.edu). She will hold office hours on Mondays 1-2 pm in 222 Loomis. There will be ~10-11 problem sets for the course, mostly in the first half. 1. To give you facility with some of the basic concepts we will discuss. 2. To allow you to do some of the underlying derivations (so we won't have to spend class time on them). 3. To give you some exposure to new online "cloud" quantum processors now available. Most of the problems are not intended to be difficult, but I highly encourage you to discuss them, and variations of them, amongst yourselves. Due to the rather simple, and often algebraic, nature of the calculations, and that I encourage you to check your results for "reasonable-ness", as we will not give much partial credit. Problem sets will be distributed Tuesdays, due the following Tuesday in class (except possible HW#1), and (hopefully) returned the next Tuesday. In some rare cases extensions may be considered, but I will often want to use the results in class immediately, so this may be difficult. 1. Teams of 4-5 students will give a lecture on a specific quantum information topic (mostly systems for quantum computing, e.g., trapped ions, superconductors, semi-conductors, etc.). I will have a fairly structured breakdown of material to be included (e.g., intro material, gate techniques, algorithms, decoherence effects and error correction, and challenges to scalability). The presentations will be given the last 3 weeks of the course. Grades will be based on individual presentations and the group as a whole. More details, and how to sign up, will be forthcoming. 2. Most of the remaining students will individually write a paper (~PRL length) on a topic of mutual interest, based on 4-5 relevant articles (including one very recent one from the quant-ph archive). Again, I will give further guidelines later. 3. Starting this year we will explore a new option, an extended programming project using one of the online "cloud" quantum processors. More details to come. I have chosen as "required text" the book Quantum Computation & Quantum Information by Michael Nielsen and Isaac Chuang. It provides a rather comprehensive overview of quantum computation and quantum communication, including much of the theoretical background you should know, though it is definitely focused more on the theoretical underpinnings than on experimental implementations. I intend to give reading assignments and some problems out of it (starting on HW#3). 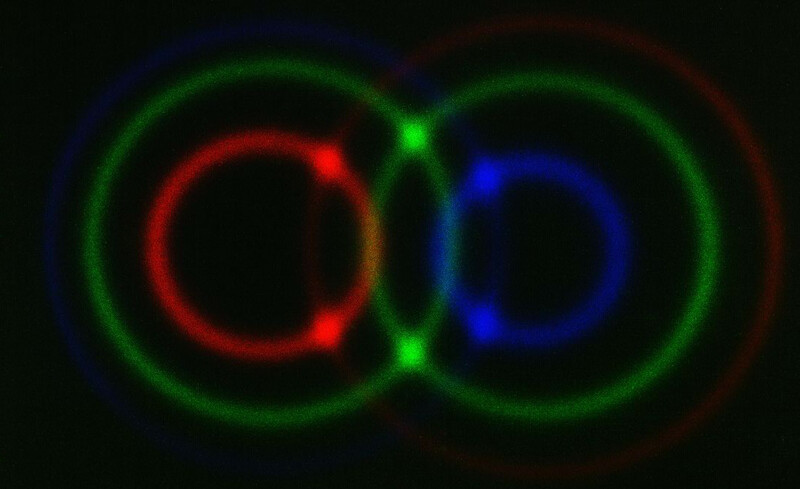 However, it is not really appropriate for the first part of the course -- the basic quantum optics that underpins much of the latter development of quantum information. Therefore, in addition, every week I will assign several papers, relevant for the week's discussion. These will usually be of some "historic" importance, i.e., papers that anyone in the field should have read at some point, or “new results” papers, to discuss recent progress in the field. You should plan to read all these; you might not always follow all the pieces (since we will be covering far too broad an area for full understanding of every aspect of every piece), but will hopefully glean the relevant information. "The Physics of Quantum Information", eds. D. Bouwmeester, A. Ekert, and A. Zeilinger, Springer (2000).